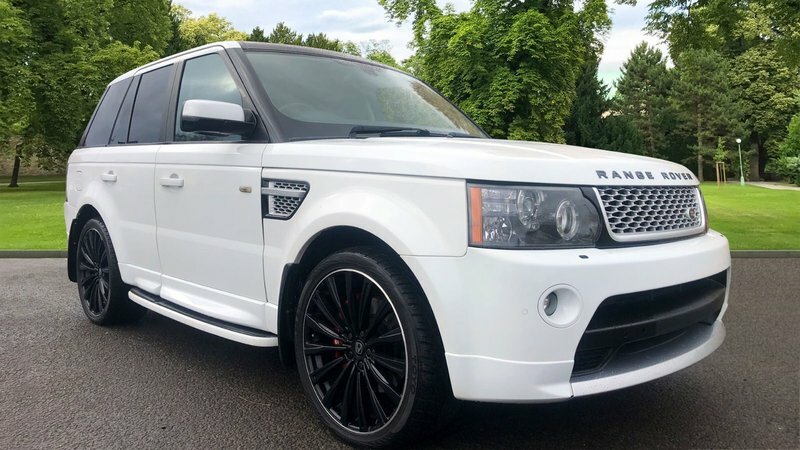 RANGE ROVER SPORT 2007, FULL SERVICE HISTORY ! 9 STAMPS IN TOTAL LAST SERV AT 92K, 6 MAIN DEALER ! CAMBELT DONE AT 83K, 2 KEYS ! 2012 AUTO BIOGRAPHY CONVERSION ! 22" GENUINE HAWKE ALLOYS WITH TOYO PROXES ALL ROUND ! FULL BLACK LEATHER INTERIOR ! SAT NAV ! TOW BAR ! FRONT/REAR HEATED SEATS ! CAR LOOKS THE NUTS ! IN GREAT CONDITION INSIDE AND OUT ! VEHICLE IS BEING SOLD WITH NO WARRANTY GIVEN OR IMPLIED ! AS WE ALL KNOW NOT EVEN WARRANTY COMPANYS DO ! ANY INSPECTION WELCOME ! CASH SALE ! VIEWINGS WELCOMED ! CALL OUR SALES TEAM TODAY ! 01623-742911 / 07930916151.